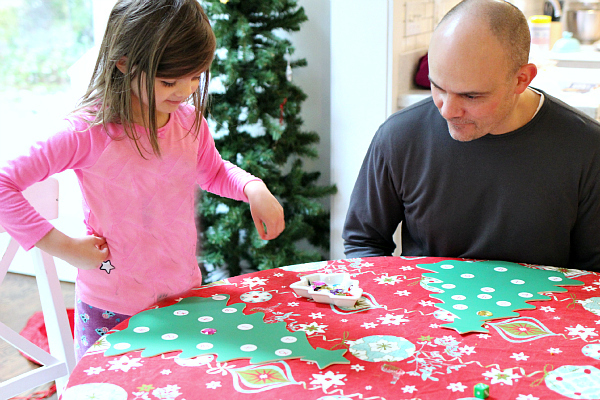 Did you know that Elmer’s makes these awesome holiday-themed foam boards? I didn’t either until I was asked to think up a fun Christmas themed activity for this sponsored post and saw them on their website. Of course, I have about 400 ideas for these foam boards, but I wanted to keep it easy, fast to set up, and still useful and fun for the kids. 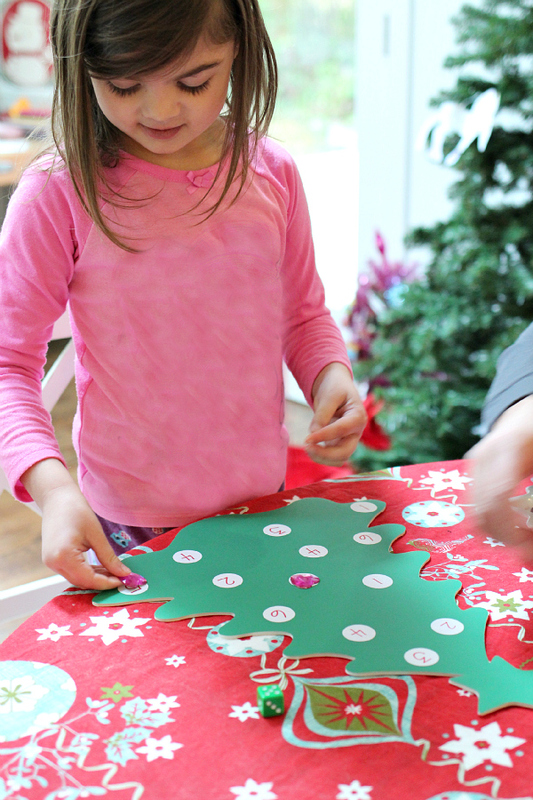 I settled on this simple Christmas tree math game for preschool-aged children because I made it in about 2 minutes (seriously trying to find where my big tub of gems were took 500 times longer than making the game boards) and it was a hit with my daughter. 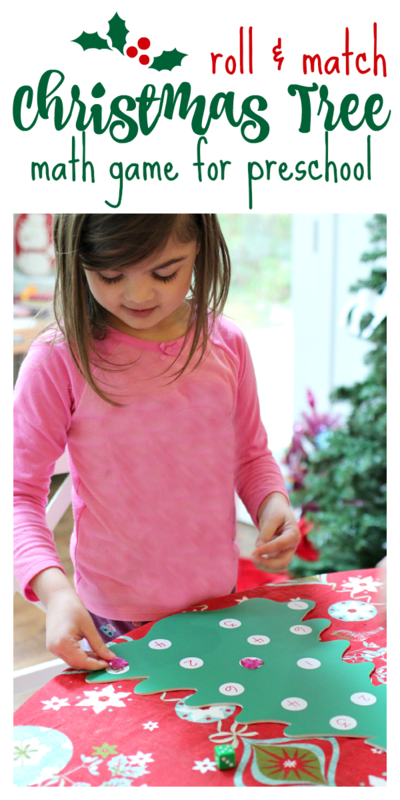 The thing about this activity is that you can make it for one child or turn it into a game with a group. My husband and daughter played it while taking a break from decorating our house for Christmas. Gather your materials. 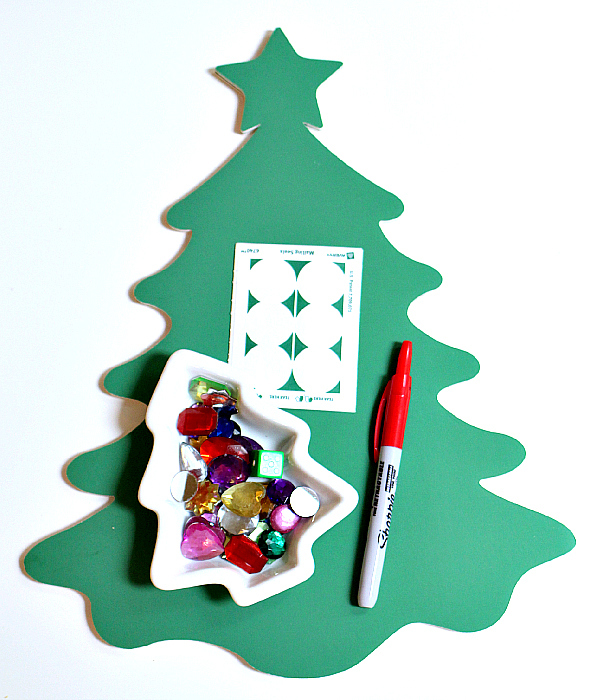 You will need this Christmas tree foam board from Elmer’s. 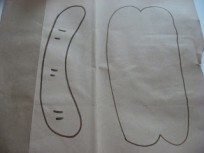 Also find some round white adhesive labels, a marker, some gems, pom poms or buttons to use as game pieces, and a die. Start by popping the round labels on. I did 13 just because that was the number that I thought looked pretty evenly spaced out. 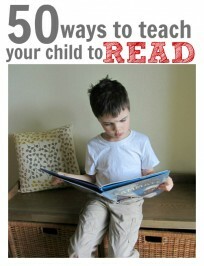 My only advice for you for this step is to keep your child’s attention span in mind. Will 13 overwhelm him? Be too easy for her? Do what works for your child. 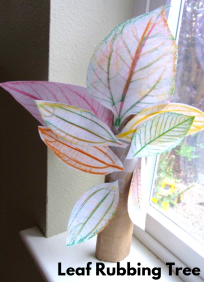 In a class, if you are planning on only using this for free choice, I would make some with many, as well as some with only a few for different levels. But if you are using them all together in a game make sure they all have the same amount. Write the numbers on. With one die it’s 1-6. With two, if you want to make it more challenging, the numbers you will want to use are 2 – 12. Find the gems and some people to play! 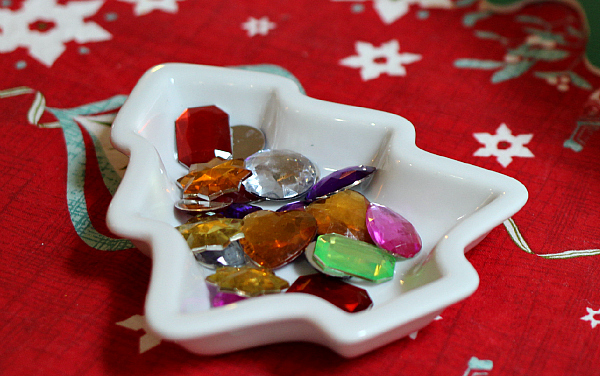 Roll and place the gems on. As your child is playing they are working on a number of skills – including subitizing which is the ability to recognize numbers on dice, tally marks, and hands immediately without counting. 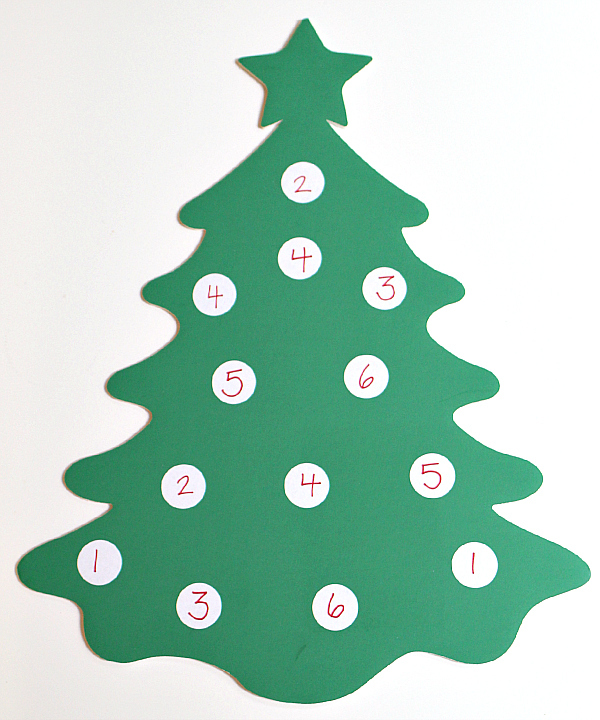 Activities like this Christmas tree math game for preschool help to build that skill. They may not be there yet, though, and that’s OK. They will count each dot with every roll and that’s not a bad thing. Great counting practice! Picking up the small items uses fine motor skills, and, of course, let’s not forget good sportsmanship.